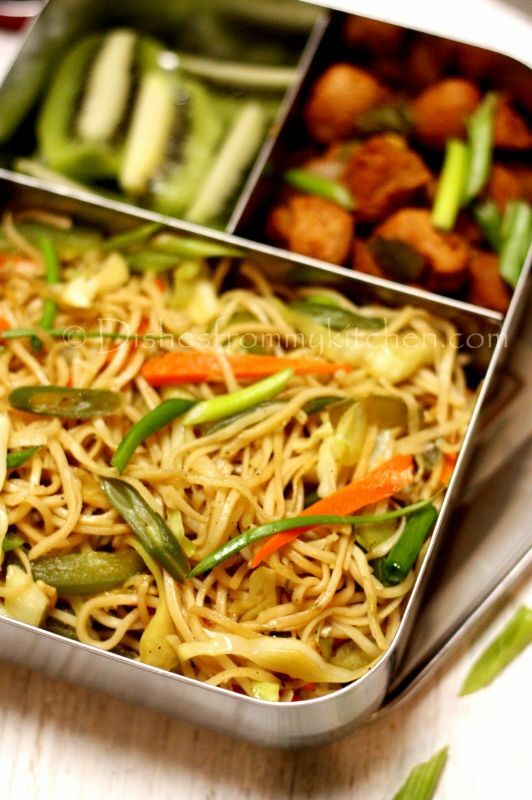 Dishesfrommykitchen: KIDS LUNCH BOX - VEGETABLE HAKKA NOODLES, STIR FRIED SOY CHUNKS(TVP) ! 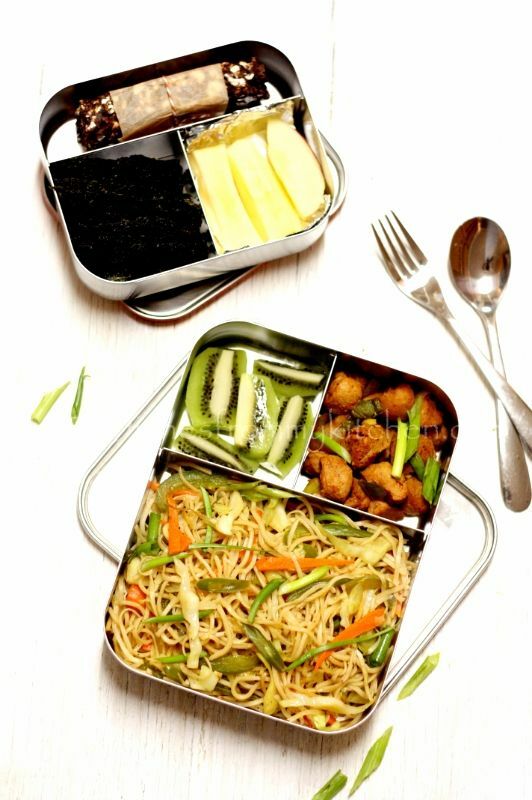 KIDS LUNCH BOX - VEGETABLE HAKKA NOODLES, STIR FRIED SOY CHUNKS(TVP) ! 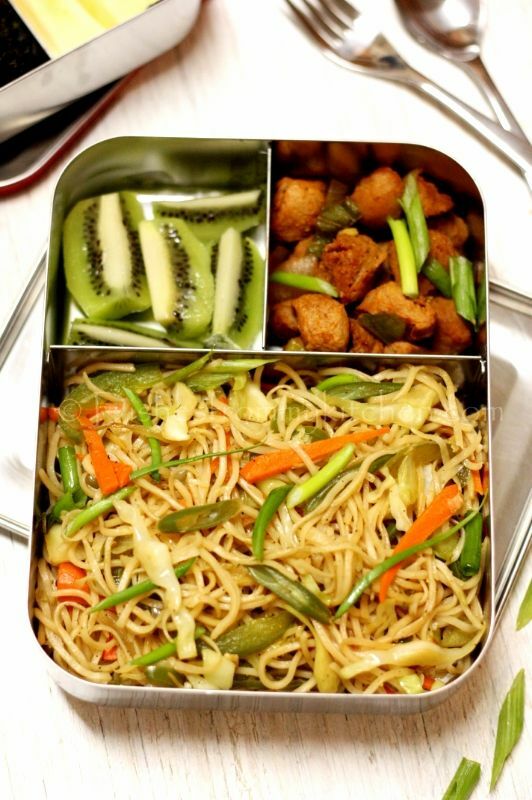 LUNCH BOX : VEGETABLE HAKKA NOODLES, STIR FRIED SOY CHUNKS, KIWI ! 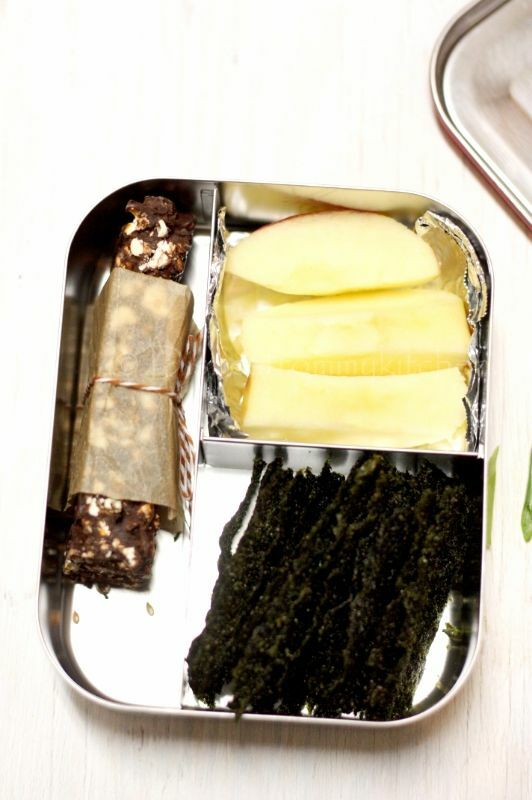 SNACK BOX : APPLE, SEAWEED SNACK, POPCORN BAR ! 1. Heat oil in a pan. Fry onion, garlic and ginger. 2. Now add soy chunks, sauces, chilli powder and salt. 3. Saute in low flame for few minutes . Garnish with cilantro and spring onion. This is absolutely tasty , guilt free healthy snack you can much as it is or with vegetable noodles as well !! !